Our newest product offering! A great alternative to the traditional matchbook! 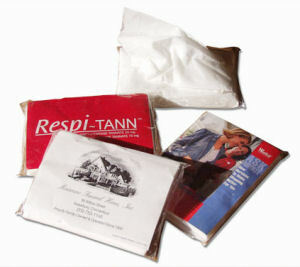 One of our newest offerings – facial tissue packs with 1-color printing on clear poly wrap. Additional second side printing is also available. Comes with 10 tissues per pack! Your customers will enjoy the convenience of these pocket-sized tissue packs.